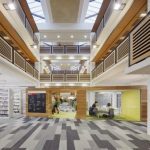 CNM worked alongside of Sheppard Robson has led the design team carrying out this major refurbishment project for Lancaster University. 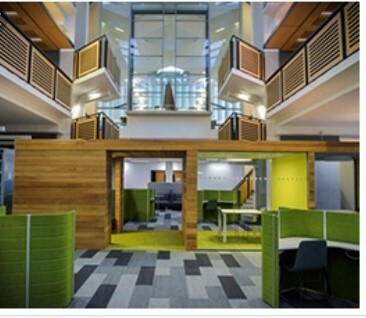 Students can take advantage of a fully-opened, fully-functional building with additional group and individual study space, following the completion of work on A Floor West. Lancaster University now boasts a resource that reinforces and reflects the University’s reputation as a world-class Centre for teaching, scholarship and research. 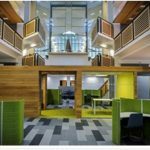 The re-modelled Library offers a flexible, inspiring, technology-enabled environment with a range of individual and group work spaces to support different learning styles. The building has been designed to maximize natural light and offers a significant increase in power and data provision. The refurbishment also enhances the user experience by improving way finding, ensuring the location and layout of book shelving and services are more intuitive and accessible. 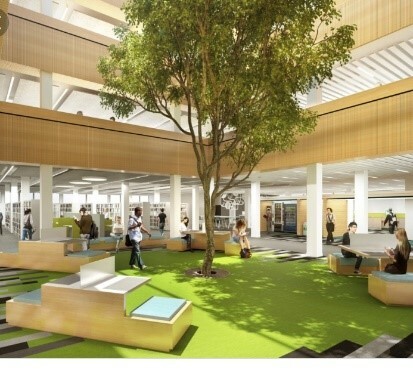 One of the standout features is a live tree in the main study area which helps to create a calming environment for students and symbolizes the green credentials of both the Library and the University. The original Library was constructed in 1967, with an extension added in 1997. Work started on the building at the end of the summer term in 2014 after 18 months of intensive planning and consultation. 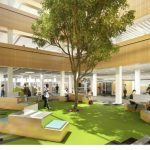 The project has seen a complete renovation of the East and West Buildings with the addition of new facilities, IT, workspaces and bookshelves. 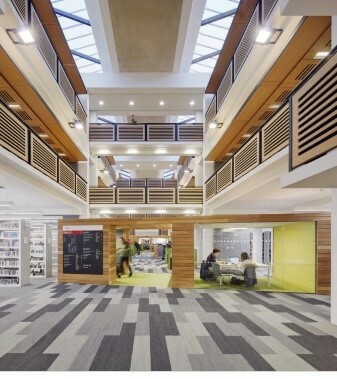 The Library is the first refurbishment project on campus to target a BREEAM Excellent standard, a measure of the building’s environmental performance and impact. This is just another project CNM are proud to have completed to the client’s satisfaction.